Continuously intensifying aquaculture demands reductions in pathogen infections without increased therapeutics use. A potential solution is the use of prebiotic feed additives like β-glucan and mannan oligosaccharides (MOS). This study focusses (1) on the effect of prebiotics glucan/MOS on growth and fitness of Starry flounder and (2) on the viability of Starry flounder as an aquaculture candidate (as it is considered in South Korea). Over 56- days, juvenile Starry flounder were fed with glucan/MOS enhanced diet and a control diet. Feeding behavior, growth rate, morphological and blood physiological parameters were monitored. 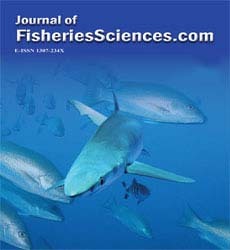 Fish fed glucan/MOS enriched diets exhibited significantly increased growth over the experimental period (GLM, p<0.01). Concentrations of cholesterol (P=0.043) and albumin (P=0.016) were significantly increased in the blood plasma of fish fed glucan/MOS. Whole body proximate analysis revealed significantly elevated crude protein (P=<0.001) and lipid (P=<0.005) in fish fed glucan/MOS compared to the control. Significant improvements in growth, numerous fitness factors and product quality parameters can be achieved through glucan/MOS supplementation to P. stellatus. The observed growth performance and the feed conversion ratio, especially at low water temperatures, suggest Starry flounder is indeed a promising candidate for aquaculture in temperate regions. More detailed investigation, highlighting the economic and market perspective, is needed before introduction to commercial production.